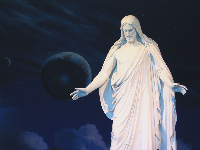 We went to the Washington DC Temple on Christmas Eve and expected it to be pretty empty. There were actually lots of people and cars there to see the lights display, and also walk through the Visitor's Center to look at the nativities and other items from around the world. Life-sized nativity outside, with music playing and voice-over reading Luke 2. Pretty stained-glass windows on corner of Temple. This room displayed nativities or creches from around the world - amazing. Some were made of wood, some stone, some clay, some fabric/wool. I really liked this one from Italy - very unique. A very meaningful and wonderful Christmas eve activity! 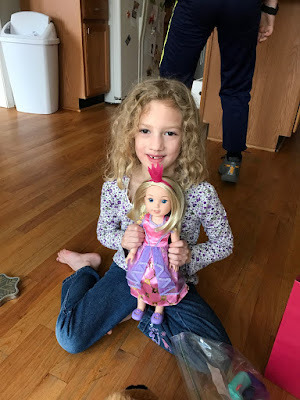 Savannah received a gift card to American Girl for Christmas this year. She was so anxious to go to the store, so we went the next day. She loved walking around and looking at each doll and their accessories. The store spans two floors of the mall! So she had plenty to look at. In the end, she found the perfect doll for her. This year is the first time that the company that I have worked for has invited the entire family for the Christmas party. They had two parties (in the same hotel). The kids had their very own party with dinner, face-painting, a magician, Santa, balloon tying, cookie decorating, and individual presents for each child. The adults had a nice party with good food overlooking the White House, Washington Memorial and other federal buildings. The company even had special promo codes setup on Uber for free rides to and from the party. Every detail was thought of. Inside are pictures of Jesus. This leads us into a discussion as a family about the true meaning of Christmas. So in the meantime, the kids love opening one or two presents a week and each of the presents is played with for at least one week. Notice that Savannah is wearing a coat at the same time Carson is in shorts and a t-shirt.